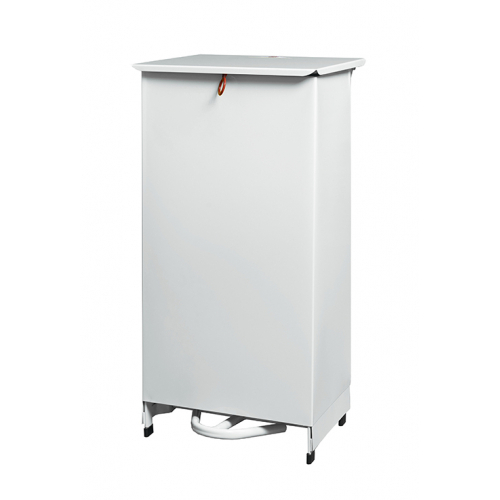 An easy clean sack holder featuring a fixed body and pedal operated lid opening that has been designed to limit cross infection and contain any spillages. 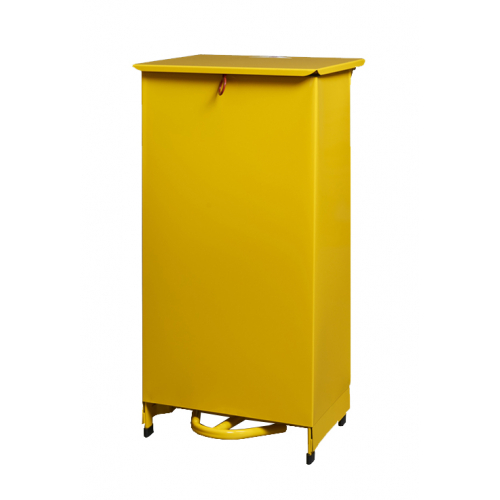 This product has been designed for use in hospitals and doctors surgeries, and is available with a choice of lid colours in standard waste segregation colours which support the safe management of health care waste and adherence to infection control guidelines. The body is manufactured from steel which provides the product with scratch, corrosion and abrasion protection. Approved to the current NHS fire and safety regulations. A soft close damper comes as standard with this sackholder, making the lid close slowly and softly for quieter environments and a positive user experience. Wheels are also fitted as standard. Lids and bodies can be colour coded at no additional cost for standard colours.